This lot is an Original 1886 Wisden Paperback. In Very Good Condition. 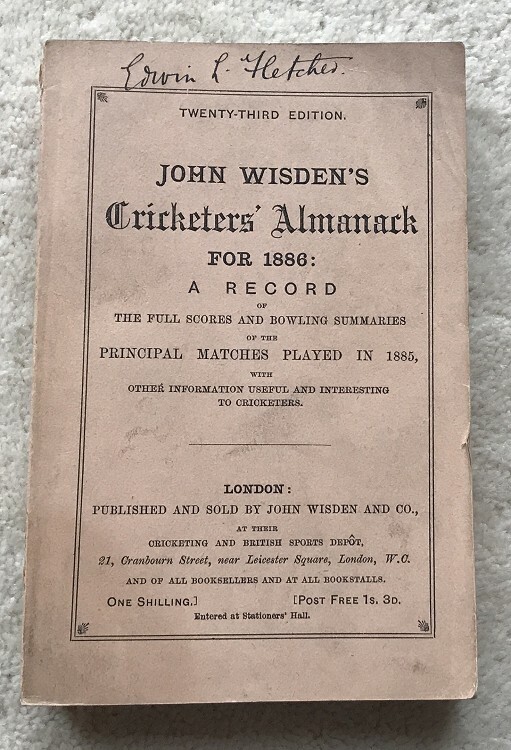 This Wisden was on my main shelf for some time, recently upgraded to similar without the 1886 to spine. This Wisden is very nice indeed, 100% original the covers are tall and in very good order, very clean with barly a mark. There is a name to the top of the front cover. The spine paper is superb, it has 1886 added to the blank spine (letters came in 1887) clean pages inside and internally a super book, top corners have a small bump at the rear. Hard to beat (took me a few years).